A few years ago, I noticed a large branch growing from the middle of one of my lilac bushes. I’d pass it now and again and wonder what it was, but let it grow. I was sure the squirrels left a seed that eventually sprouted into something new. One year, this mysterious branch had blossoms different than the lilac, so again I watched to see what would happen. 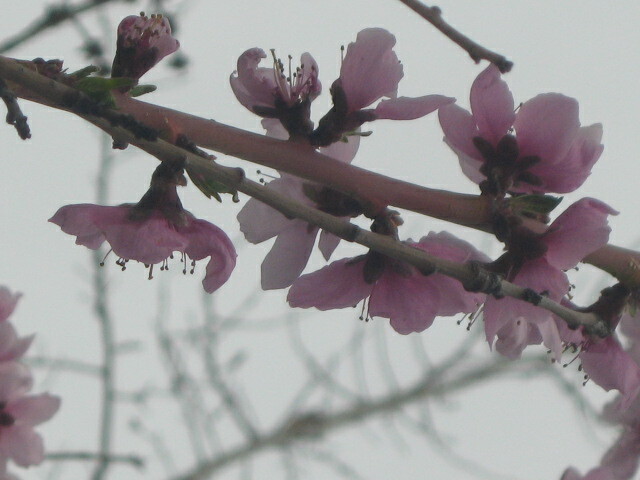 Eventually small fruit began to form from the blossom and revealed itself as peaches. 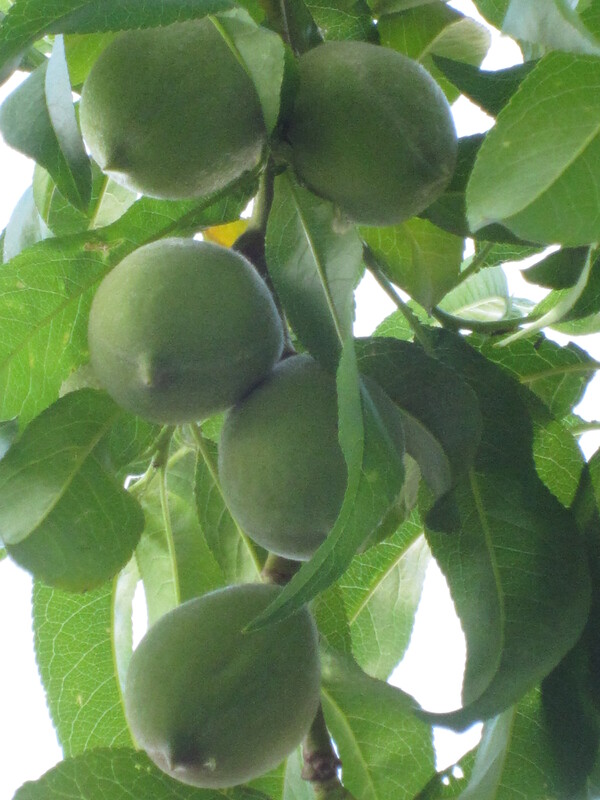 The peaches continued to grow and would soon be ripe. I couldn’t wait to pick a peach fresh from my yard and enjoy every drippy, lucious bite. UNTIL…the squirrels came back to claim their bounty. Most of the peaches ended up on the ground, partially eaten by the squirrels. The least they could do is the eat the whole thing! 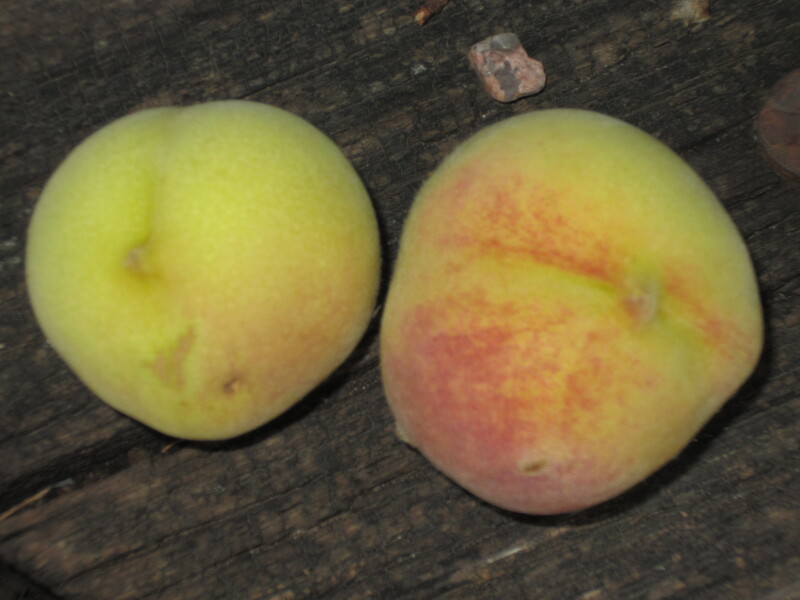 The squirrels were kind enough to leave a couple of peaches for me. It’s a new year and the squirrels and I are plotting our strategies. If peaches form, who will get there first? 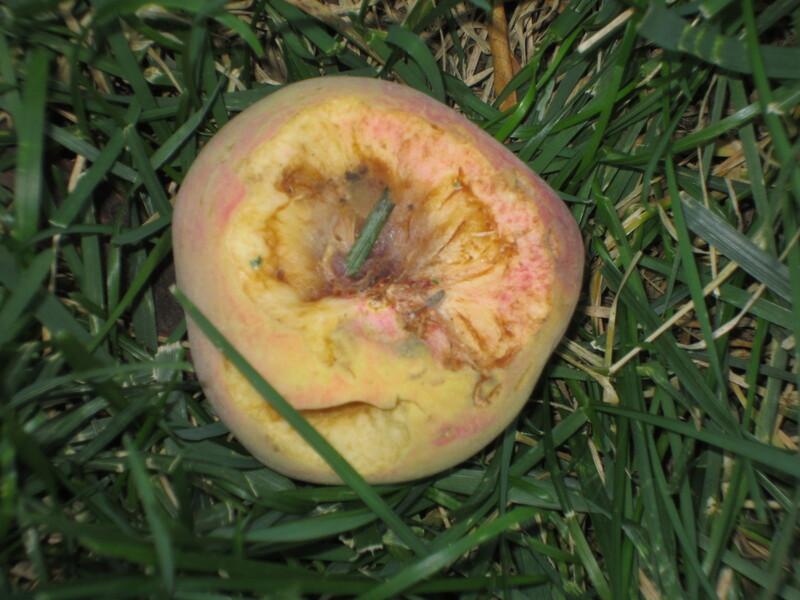 The tale of the Peach Battle between Team Squirrel and Team Cathy continues. Fascinating!!! So this was a self-grafted peach? Or was someone in the lilac nursery having a bit of fun??? Good luck with the squirrel fight!